Almost two weeks ago, I had an emotional last day at Mozilla, the best place I’ve ever had the honor of calling “employer.” The 22 months I’ve spent at Mozilla have been the most rewarding and challenging of my career. I joined at a time of transition and had the great honor of working with some of the smartest people I’ve ever met, on a mission that has fundamentally changed the internet for everyone, regardless of the browser they happen to use. Mozilla has a reach and influence that is the envy of many organizations in tech, and they will continue to grow and advance the state of the art in some obvious and surprising ways. I’ve always told people that Mozilla was the last job I would ever have, and there was only one thing that would get me to leave- the opportunity to start something new that has the potential to change the world. Of course, like many asterisks and related clauses, this one was fated to happen to me, and when Joshua Schachter asked me to start a company with him, I said no. 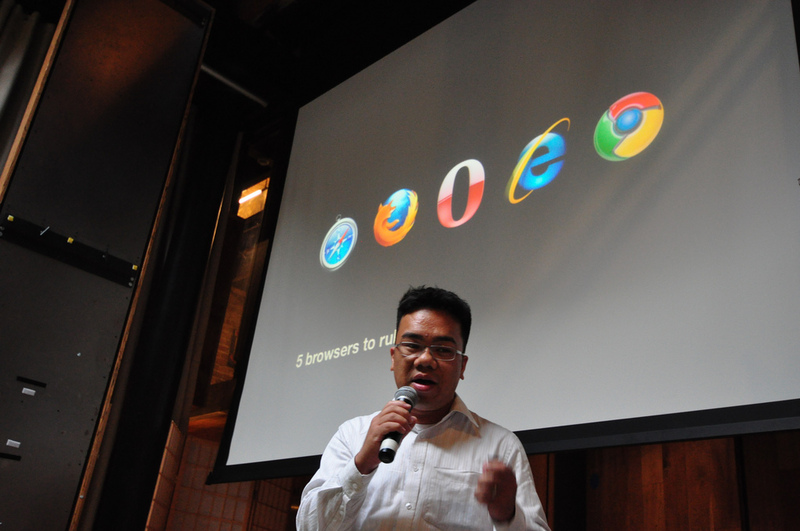 I couldn’t leave Mozilla, and I felt that my participation was vital to the company and the very future of the internet. It took a while for me to realize that there would never be the perfect time for a person to leave an organization where they feel like they’re making a difference. It took an even longer while to crank my ego down to the point where I realized that no one is irreplaceable, and in fact, learning how to delegate and give others the opportunity to grow is also an honorable way to make an exit. 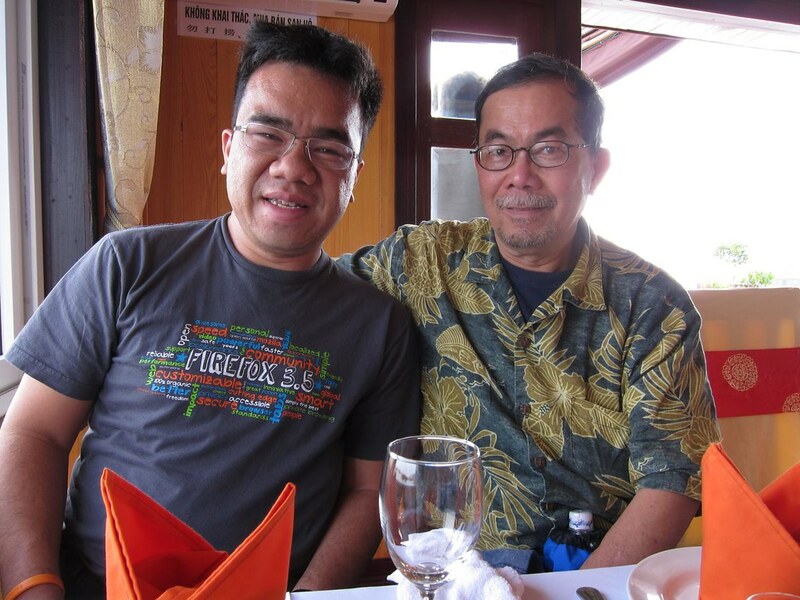 Upon some reflection, I came to realize, perhaps self-servingly, that being indispensable is not always the reflection of a person’s true value- because it means that responsibility, vision, and leadership are not being shared in any meaningful way. Fligtar, Myk, and Jorge all know their own jobs better than I do and are more than capable of writing the future of add-ons for Mozilla. So, we know how this story ends. I did an Ione Skye to Joshua’s John Cusack, and now I’m the VP of Product at a joint called Tasty Labs, with Joshua and Paul Rademacher, who invented Web 2.0 and will be inventing the next version of the web with us, which we plan on calling “Web 6.” Right now, my days are unpredictable and exciting, and I’ll try my best to talk more to you, all twelve of you, about my startup adventure. TTFN! For those of us in the business of making technology for the People of the Internet, it’s easy to get jaded by the mainstreaming of technology which we once found new and exciting. Americans in particular seem to be a little guilty of this, particularly if they live near a coast. While Twitter, Facebook and Firefox move further into the homes of our friends and parents, it’s good to see this as an opportunity and not a sign that the end has come. 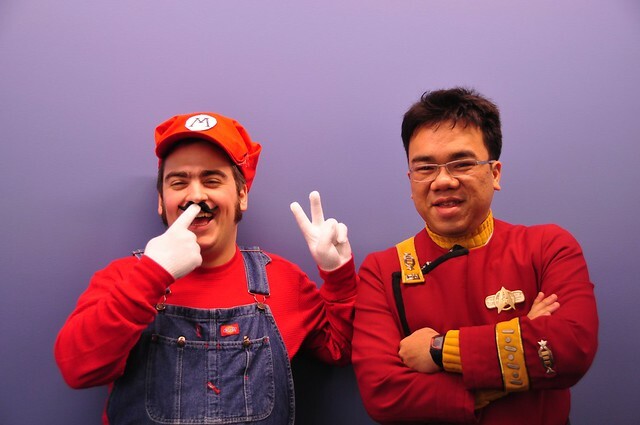 I’ve had the good fortune of meeting fellow nerds from all over the world, and I’ve noticed the ones who don’t come from Silicon Valley remain enchanted by technology and its promise to make the world better. They’re the ones hacking away on Twitter and Firefox and really pushing the envelope on the future for those products. 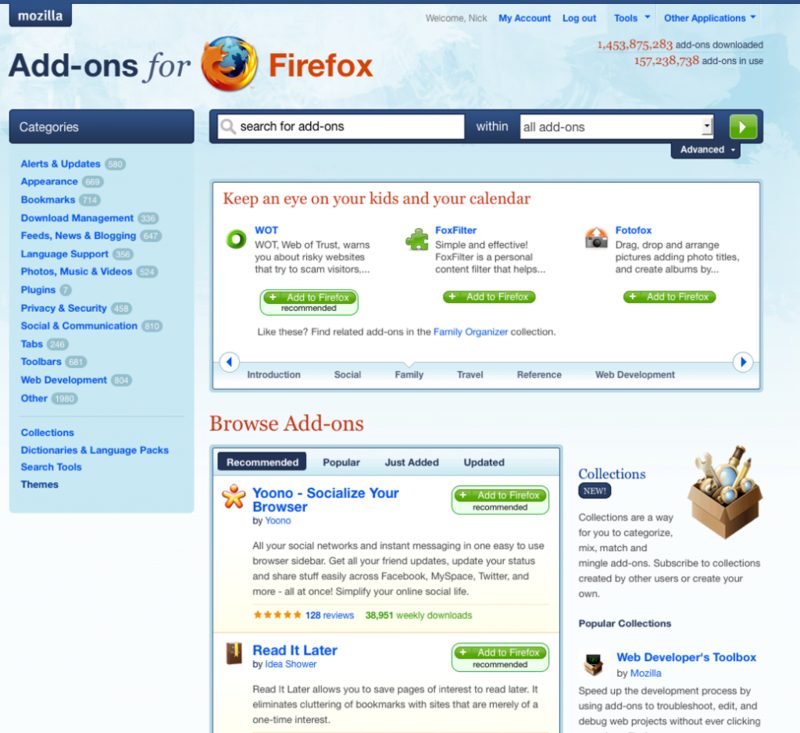 Many of top Firefox add-on developers come from Europe and Asia, and Brazil’s wholesale adoption of open source and social software is a phenomenon to behold. Korea’s obsession with Starcraft shows no signs of waning eleven years after that game’s release. While our short attention spans compel us to keep creating and trying new things, does our eagerness to invent prevent us from honing our craft? Does great software evolve through people who lose their otaku sense of wonder? Seesmic relocated to San Francisco in an attempt to secure respect in the startup world, but I wonder if Silicon Valley, with its populace of short-attention-span inhabitants, will continue to be the epicenter of technology moving forward. I’m not terribly worried about America- I still see that twinkle in the eyes of my friends and colleagues from other parts of the country, but I do think that we should get over ourselves and try to remember that technology that makes the lives of people better is something that we want in the hands of as many folks as possible. A few months ago, I blogged about how add-ons were like a Renegade Craft Fair, so we decided it might be a good idea to come to one to spread the word about Mozilla. Thanks to the hard work of Mary, Sarah, and Sean we’re going to have a presence at the San Francisco RCF in Fort Mason this weekend to spread the word about Firefox, Add-ons, and Personas. If you’re around and want to say hi and grab some swag, come to the Renegade Craft Fair– it’s totally free and totally AWESOME. My 3.5 day whirlwind tour of Brazil is now over, and I found it incredibly enlightening and wonderful in so many ways. 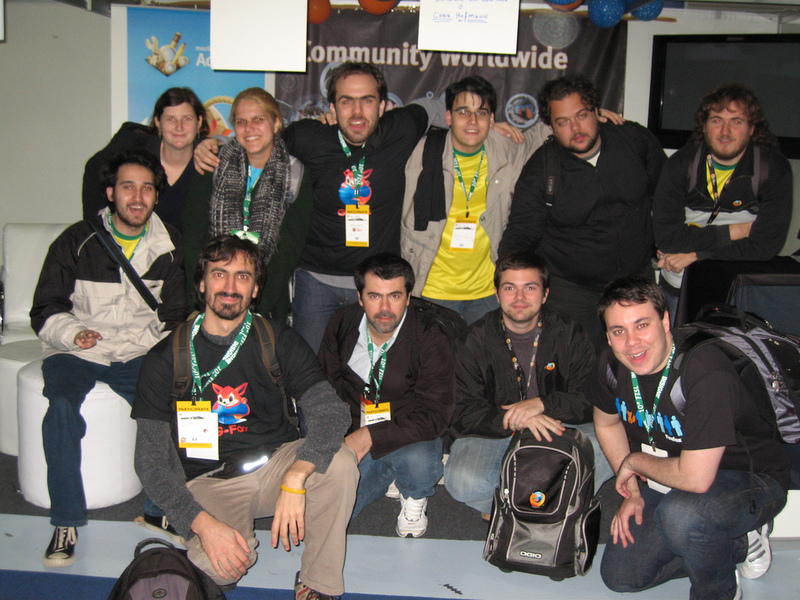 The South American Mozilla community is amazing- their energy and dedication is an enormous testament to the foothold that FOSS has in that region of the world. People were genuinely excited to learn more about Mozilla and I was honored that so many came to my talk- I hope that those who attended found it useful. Brazil is a very close #5 in overall traffic and I can easily see them getting to #3 by the end of the year. I also mentioned Extend Firefox as a way for community members to submit great add-ons and win prizes and recognition for their hard work. Mozilla is a truly global phenomenon- something I knew before but my visit to Brazil makes it something I feel much more. I’m proud of how our team has created a site that is localized in dozens of languages and I want to do more to make sure that add-ons are presented in a way that’s specifically engaging to each region of the world. If you have any ideas- please let me know. Enormous thanks goes to Alix Franquet for making sure this was no meaningless junket- every second of our time was spent engaging with the community- from students to entrepreneurs to companies interested in Mozilla. A big thanks as well to Bruno Magrani- without whom we would certainly be lost, eating the wrong things, and getting in trouble. Finally, thanks to everyone who helped us at the booth- in no particular order those would be Felipe, Augusto, Clauber, Andrea, Bruna, the other Felipe, Guillermo, Marcio, Antonio, Mario and anyone else I may have missed. If you’re going to be at FISL in Porto Alegre, Brazil- I’ll be presenting tomorrow at 11 am. This has been a crazy and amazing year for add-ons and I’m working on a presentation so I can put on a nice little show for everyone. Hope to see you there. The new AMO is live! Lots of late night coding, testing, pondering and pushing has resulted in the birth of a healthy baby-blue AMO! Lots of people worked hard on this release and I’m incredibly proud of what we launched. A big thanks to the AMO team (you know who you are) and the design team at Clearleft for their hard work!